Deluxe Deer Shaped Nut Cracker Only $41.18! Ships FREE! You are here: Home / Great Deals / Christmas Deals / Deluxe Deer Shaped Nut Cracker Only $41.18! Ships FREE! Order the Deluxe Deer Shaped Nut Cracker Only $41.18! Shipping is FREE! 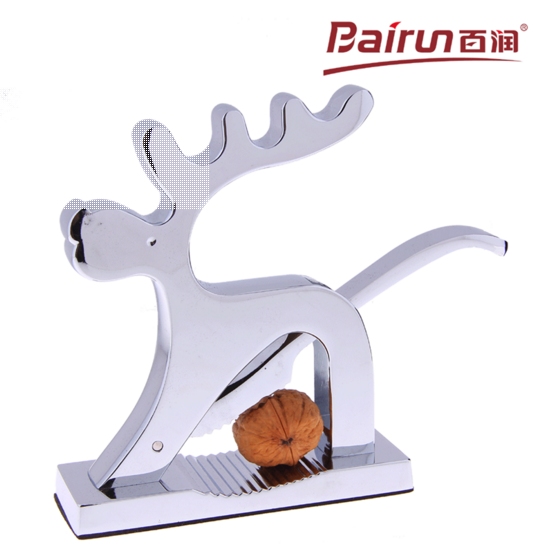 This nut cracker by Bairun is ready for shelling nuts year-round! Made from a zinc alloy and shaped like a deer, this nut cracker is perfect for any house!